How to limit the noise propagation (not only in Oil and Gas). Risks and countermeasures of a phenomenon as important as universally underrated. The noise pollution’s matter has become a well-documented public domain anthology by now. The World Health Organisation has reported that 40% of Europe’s population is exposed to noise levels in excess of 55dB. Moreover, noise pollution is ranked as second to air pollution, in terms of affecting our health and wellbeing, including diabetes, tinnitus and risk of heart disease. 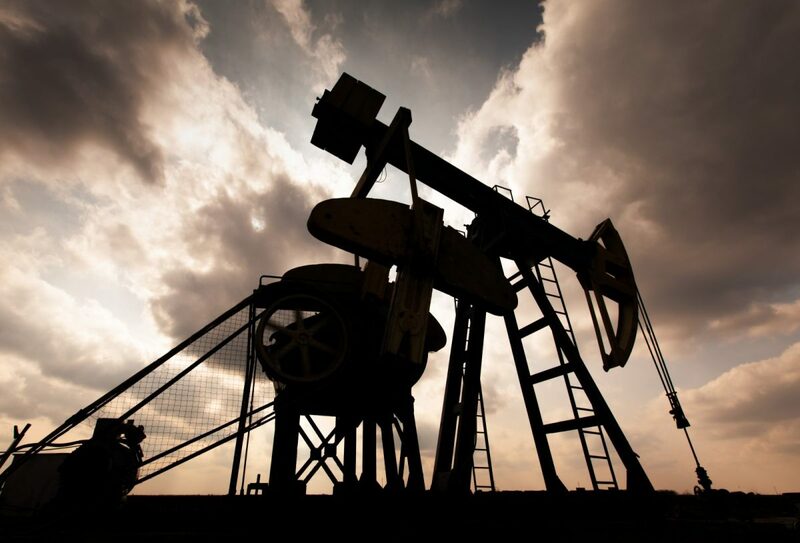 According to recent study achieved by PSE Healthy Energy and West Virginia University, some modern Oil and Gas techniques – such hydraulic fracturing (or “fracking”) – produce noise that may increase adverse effects on human health. Fracking can create noise at levels high enough to harm the health of people living nearby (source phys.org). 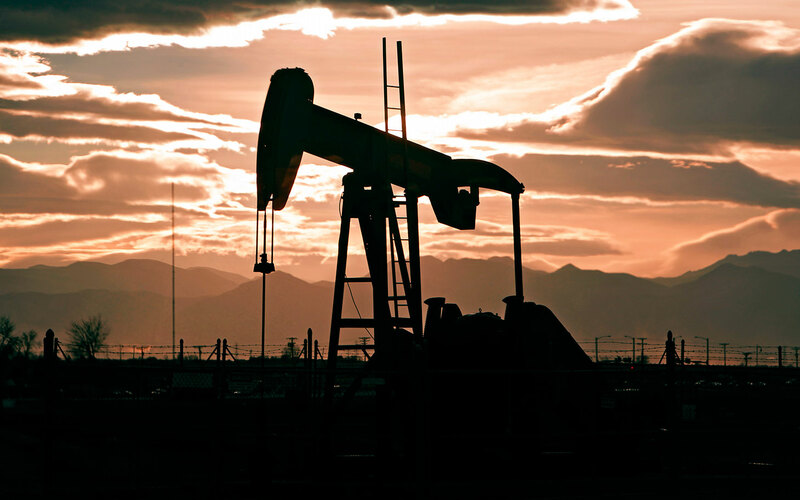 “Oil and gas operations produce a complex symphony of noise types, including intermittent and continuous sounds and varying intensities,” argued PSE Healthy Energy Executive Director Seth Shonkoff. A adequate set of policies should be specified, in order to safeguard residents and communities, such particularly vulnerable populations (e.g. schools and hospitals). Noise mitigation techniques like perimeter sound walls, noise barriers and acoustic enclosures could represent the most appropriate solutions to hold back this phenomenon. and Gas noise pollution on whales and dolphins. 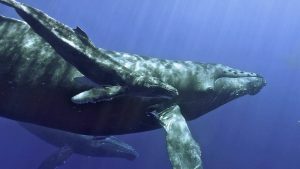 In the report, they put in evidence how new technologies should reduce their impact on marine environment during the exploration phase (source: International Fund for Animal Welfare). Numerous epidemiological studies have linked noise to adverse health outcomes too. They include diabetes, depression, birth complications and cognitive impairment in children. As we know, the loudness of noise is measured in decibels. Sensitivity to noise differs from one individual to the next, but experts believe that damage to hearing occurs when noise levels are higher than 85 decibels, which is about the loudness of heavy traffic. Every year, 7 million people in Europe die from heart disease, that would put the toll from exposure to noise at around 210,000 deaths. In England heart disease kills 110,000 people annually, so the deaths linked to noise could be around 3,300. 2% of Europeans suffer severely disturbed sleep because of noise pollution. The researchers calculate that chronic exposure to loud traffic noise causes three per cent of all cases of tinnitus, in which sufferers hear constant noise. Length of exposure is important too. In facts, it is not recommendable to listen to noises of 109 decibels for any longer than two minutes in row. Noise and public health in U.S. In US the noise phenomena has been studied deeply, causing a direct response by public health. The Health Impacts Project (HIP) provides since 2013 guidance for policy makers to identify the health consequences of potential projects by making public a national sample of health impact assessment. The U.S. EPA recommends an average 24-hr exposure limit of 55 A-weighted decibels (dBA) to protect the public from all adverse effects on health and welfare in residential areas. This limit is a day–night 24-hr average noise level (LDN), with a 10-dBA penalty applied to nighttime levels between 2200 and 0700 hours to account for sleep disruption and no penalty applied to daytime levels. More info about the Noise sources and Soundproofing solutions in industrial sector can be found here. 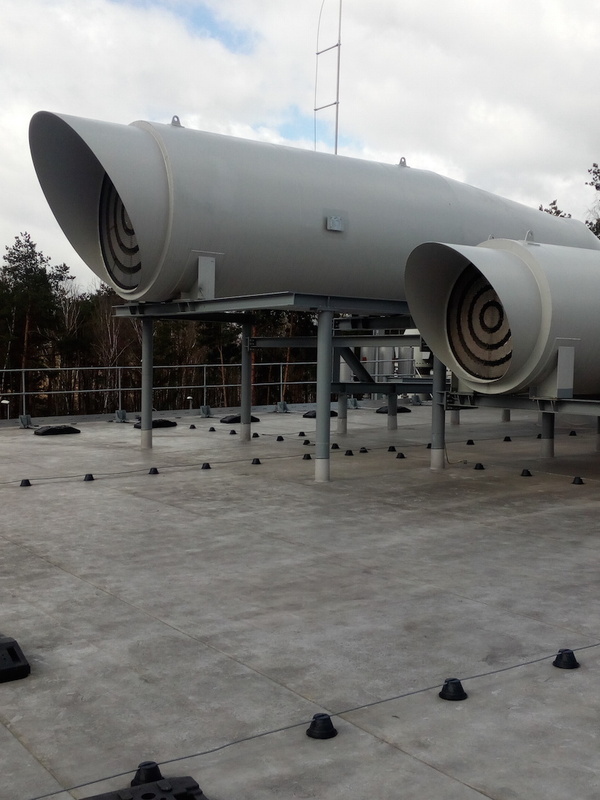 5 Steam Vent Silencers successfully installed in Poland in the world’s most modern laboratory for aeronautical turbine test. Industrial soundproofing covers various sectors and applications. 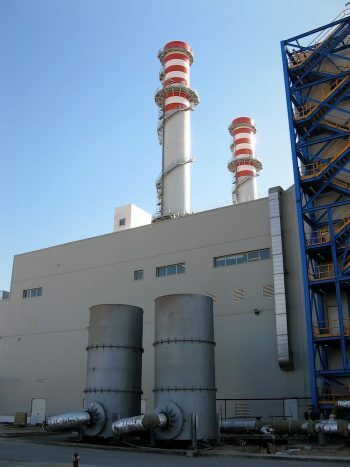 Thanks to its expertise, Stopson Italiana is able to provide turnkey service in the acoustic insulation applied to Power Generation, Oil & Gas, Marine and Avio sectors. For this latter, several noteworthy installations have been delivered. 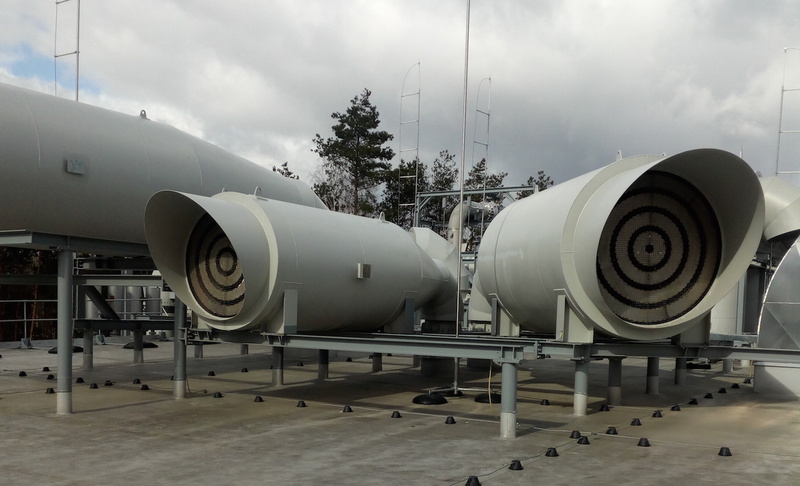 Among these a huge supply of vent silencers with their respective jet air turbine test chambers has been developed to for GE Avio. The installation of “PoloniAero” was inaugurated at the end of 2015, and it still represents a unique example of cooperation between universities and industry. The structure – one of the largest and most avant-garde laboratories in the world – was financed by EU funds. The objective is the turbine test for low pressure (and next-generation) aeronautical engines, as well as technological demonstrators used for the construction of aeronautical engines. The Cold Flow Turbine Test Facility combines the scientific expertise of Poland with the aerospace industry innovation. The partners of the Polish Aero scientific-industrial company are Avio Aero, Military Aircraft Works No. 4, the Warsaw University of Technology and the Military University of Technology. The ultimate goal of the choral project concerns the development of aerospace industry activities, including aeronautical turbine testing. Stopson Vent Silencers are designed to reduce the noise level of exhaust pipes in the atmosphere for pressurized gaseous fluids. They can be installed downstream of any device that acts as a connection between a pressurized gaseous fluid reservoir and the atmosphere. The Steam Vent Silencer can also provide a high or low backpressure to ensure the proper operation of the system. Noise reduction is achieved by two principles: a reactive section, useful for attenuating low frequencies; and a high frequency absorption section possible by inserting a sound-absorbing material. Ventilation silencers can be reactive, absorbent or combined, according to the applications and required attenuation, which can reach up to 75 dB (A). To see all the features in detail, visit Stopson Italiana Vent Silencers page.